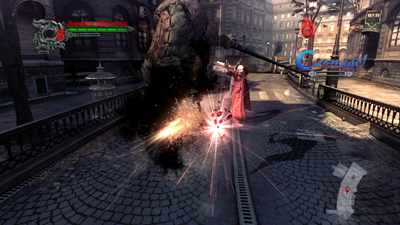 Quick email to let you know that on Saturday, Feb. 9, 2008, Capcom’s Devil May Cry 4 demo on the Xbox LIVE service passed its one millionth download, and is still going! According to Microsoft, not only is this the first demo of the year to hit a million downloads, but it’s also one of the fastest downloads to hit the one million mark in the history of the LIVE service. The demo appeared on the network January 24, and has been averaging over 25,000 downloads a day ever since. Additionally, the game has been a huge hit at retail, with reorders coming from major retailers within days of the game’s release. Email with any questions regarding DMC4, Capcom or any of our other games. As always, assets, information and images can be found at http://press.capcom.com. Thanks, hope this didn’t hit your Spam bucket! It didn’t hit my spam bucket Capcom, it didn’t. Previous Previous post: Awesome Microsoft Announcement Tomorrow?